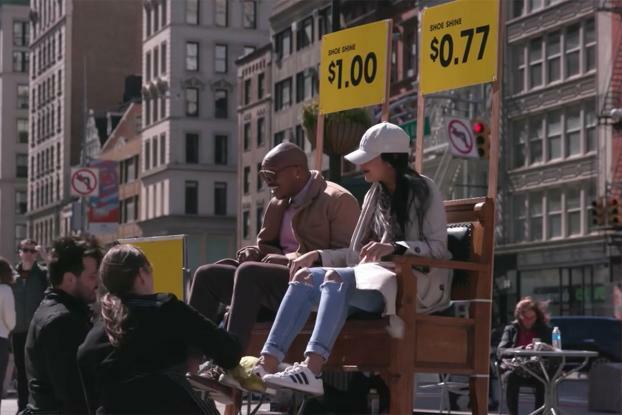 Following International Women's Day, the UN Women organization staged a stunt in New York designed to highlight the gender pay gap by offering people two shoe shine services, one by a man and one by a woman. The event, conducted by Grey New York, saw the pop-up shoe shine stand set up in New York's Flatiron Square on March 15 (the event having been postponed from March 14 due to the blizzard). The woman's service costs $0.77, while that of the man costs the full $1.00. The resulting PSA film shows how passers-by are struck by the injustice. 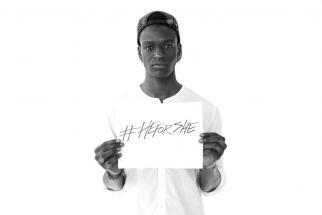 After watching the #StopTheRobbery video, viewers are invited to visit 23percentrobbery.com, where UN Women has collaborated with Twitter to encourage users to tweet messages in support of gender equality from the site.The user's followers will be "robbed" of 23% of the tweet -- 23% of the characters will be blacked out, reflecting the global gender pay gap.